Previous post: Southwest? NO THANKS! 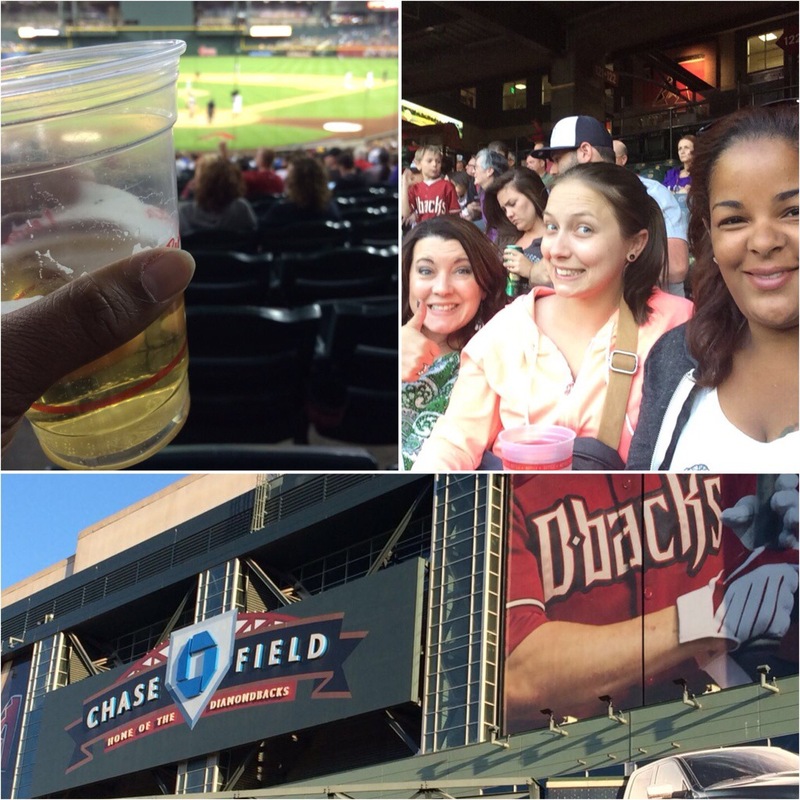 Next post: A Letter to Younger Me…..
Today I was fortunate enough to do one of my favorite things….go to a baseball game!! I’ve been amped for 2 weeks to go to this game! There’s something about hotdogs, corn dogs, popcorn, pretzels, beer, cotton candy, drunken patrons, and baseball players with big butts that give me such a rush! That atmosphere is something you can’t feel in any other sport. Cheering on a team and waiting to catch foul balls is beyond exciting. Tonight’s game: Arizona Diamondbacks VS. Colorado Rockies. The game was pretty close. Both teams were amazing. They announced that over 19,000 people were in attendance. But it seemed like Chase Field wasn’t as packed as I thought it would be. And I will say that the lovely people of Phoenix, AZ were a little dry…kind of like their heat out here. There was no crowd participation and for the most part the stadium was far from noisy. It was a little disappointing. Doing the wave and listening to drunk old men banter with each other is something I look forward to. There was none of that. And although the stadium was absolutely BREATHTAKING, a pool included!, the atmosphere was drab. We tried to liven the party up ourselves, but after a few beers, there was only so much fist pumping I could do without yawning. All-in-all the night was fun. I just wish it were a bit more entertaining. And although I was visiting the home team, I couldn’t help but fall for a player from the opposing side. This caused me to change who I was rooting for at the top of the 4th inning! Shoutout to #2, Troy Tulowitzki! You made my night complete. GO ROCKIES! Congrats on the W.